Open a PDF document on your iPad. You can do this by accessing a PDF file on a website in Safari, opening a PDF attachment in Mail, or opening a file in Dropbox, to name but a few examples. If you don't have a PDF file available right now and you'd like to try following along with this tutorial, you can download a free ebook from Open Library. 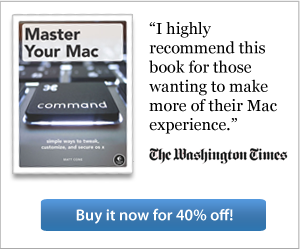 If you've opened a PDF file in Safari, tap once to display a bar at the top of the screen, as shown below. Tap Open in "iBooks". 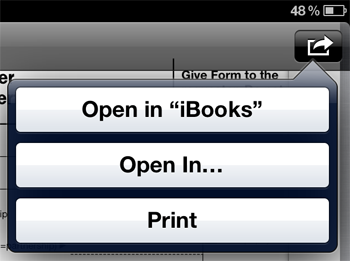 If you've opened a PDF file in Mail, tap the arrow button and then tap Open in "iBooks", as shown below. Congratulations! You have successfully downloaded the PDF file to your iPad and stored it in the iBooks app. It'll stay there until you delete it.